Draw qualified leads that get converted using eSalesData’s top-notch and result-driven Audiologist Email List. All the contacts we have in our database is accurate and delivers the best results for your campaigns. You can use our data to communicate with your audience who are audiologists by profession. Complying with industry standards and compliances, we have developed a robust database that meets the changing data needs of every marketer in the healthcare industry. We understand that for a medical marketer ROI is their top priority, and that is why we help them deliver responsive and profitable campaigns with the help of our data. Audiologists, also known as hearing doctor, are licensed healthcare professionals who diagnose and treat hearing loss and balance disorders in children and adults. 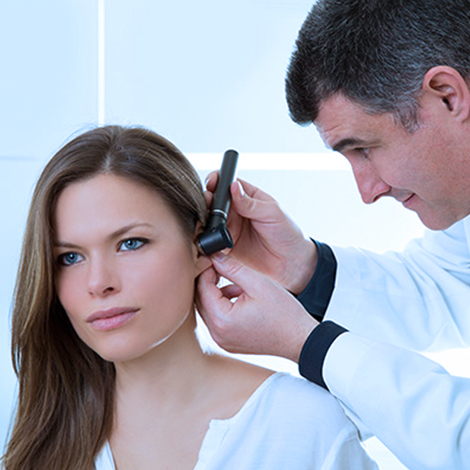 To practice as a certified professional, audiologists need to achieve a doctor’s degree in audiology and take advanced specialization course along with passing the certification and license examination. Their primary job is to examine the ear to find out a hearing problem. Also, they fit, adjust and maintain hearing aids and recommends speech and hearing rehabilitation programs to patients. Reaching these specialists with a marketing campaign requires right contact details. If you are a seller, supplier or manufacturer of hearing aids and other devices necessary to treat hearing problems, then audiologists are the perfect customers you can pitch your products to. eSalesData can help you get through to the correct inbox of your prospects by providing you best and reliable Audiologist Mailing List available in the market. Our Audiologist Email Database is filled with up-to-date, fresh and permissioned data that are verified and validated by our team on a regular basis. We draw all the contact details of audiologists from trusted data sources that include healthcare directories, medical records, websites, magazines, trade shows, market surveys, conferences, etc. Also, we have segmented our database to accommodate customization on the basis of job title, location, department, specialty, hospital affiliation, and more. Using our data, medical marketers can bring their dreams into reality which means that they can turn their expansion goals into practice. Our data network is established all over the globe and spread across borders so that your medical marketing campaigns can reach even an international audience. With our data in your valuable possession, you can connect with audiologists who are interested in your products via multiple channels including emails, direct mails, telephone, etc. Why Buy Audiologist Email Database from eSalesData?